The importing company was brought to administrative responsibility. 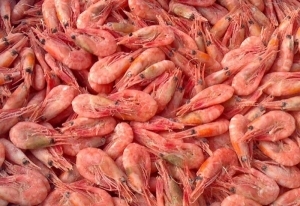 A company from Vladivostok, which transported almost 25 tons of cooked and frozen shrimp from China to Russia, will incur administrative penalties for violating veterinary and sanitary requirements, reports the ENV, citing the press service of the Rosselkhoznadzor management in the Primorsky Krai and Sakhalin Oblast. In the commercial port of Vladivostok, when a large batch of supervised shrimp with a gross weight of 24 tons of 900 kg imported by sea transport from China was imported into the Russian Federation, officials of the Rosselkhoznadzor Administration in the Primorsky Krai and Sakhalin Region identified violations of the Uniform Veterinary and Sanitary Requirements. During the inspection at the temporary storage warehouse of LLC "DRT" in the territory of Vladivostok, the State Inspector of the Directorate found that the carrier had no permission to import the chief veterinary inspector of the Russian Federation for the products under surveillance. For violation of the veterinary and sanitary requirements for the transport of products of animal origin, the Office instituted administrative proceedings in accordance with Part X NUMX, Art. X NUMX of the Administrative Code of the Russian Federation ("Violation of animal quarantine rules or other sanitary and veterinary rules"). Other materials: "The court arrested the deputy head of the Moscow region customs in the case of a large bribe	Customs did not let a ton of auto parts in Vladivostok "